Customer Support Engineer at Cisco Systems Belgium. I am a long-time aficionado of IP networking. Currently I work as a Customer Support Engineer in the Cisco EMEA High-Touch Technical Support team I focus on Data Center Switching technologies. 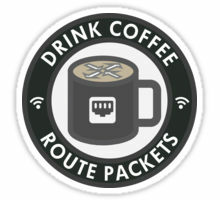 In my free time I indulge in all things routing, especially routing protocols, routed technologies, and MPLS-based services. Before joining Cisco, I worked as a university teacher and Networking Academy instructor & instructor trainer. I am one of the authors of the CCIE Routing & Switching v5.0 Official Certification Guide, Volume 1, published by Cisco Press. In addition, I love participating in Cisco Community. where I was honored to be a Cisco Designated VIP from 2011 to 2016. NOTE: Posts are my own, not Cisco's. Re: are we able to use loop back interface to form ospf neighborship between routers ?